In this session campers enjoy full participation in Squash and Beyond camps at Williams College during the weeks of July 21-26, August 4-9 while learning the basics of fly fishing from experience fishermen also serving as squash instructors at the camp. Campers will enjoy normal squash camp with up to 25 hours of squash training during the week. 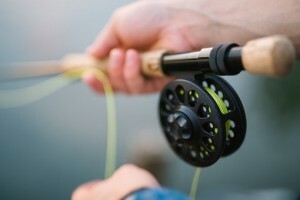 The fly fishing group will travel three times during the week to local streams and rivers to practice casting technique and live fishing experience. The six-days program (Sunday to Friday) is limited to 4 campers. Fishing equipment is available on loan, and information on licenses will be provided in advance. Tom Hodgson: Tom Hodgson (B.A. Williams ’74; M.A Yale 76) teaches philosophy and coaches squash at Andover. He is an avid angler and outdoorsman, spending summers hiking and fly fishing in the Berkshires, British Columbia, and in Montana, Wyoming, and Idaho. Ramsey Vehslage: Pingry School Varsity squash coach, an Orvis Endorsed fly fishing guide for ten years. From 1997-2006, he spent his summers guiding for Breckenridge Outfitters in Breckenridge, CO.